We have been tweaking our diet over the past few years for better health and longevity. 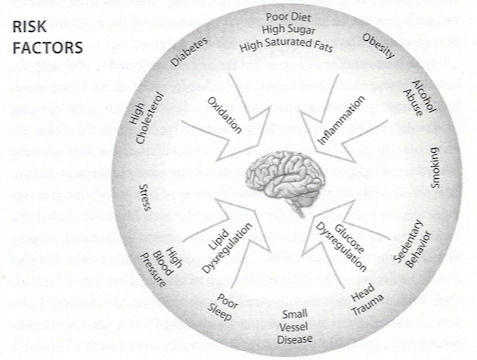 Michael Gregor’s book How Not To Die got us eating “not too much, mostly plants.” What really moved our diet in a more plant-based direction this year was reading The Alzheimer’s Solution: A Breakthrough Program to Prevent and Reverse the Symptoms of Cognitive Decline at Every Age by Dean and Ayesha Sherzai, M.D. 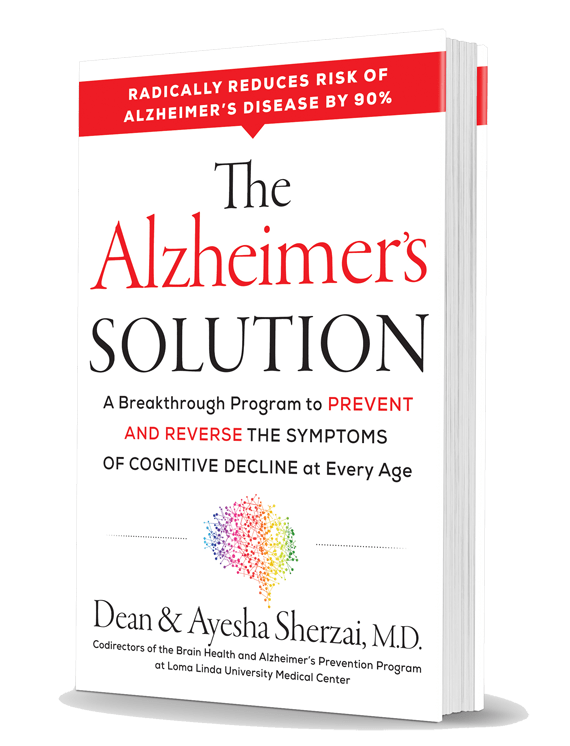 Their book got our attention by noting that their program “radically reduces the risk of the risk of Alzheimer’s Disease by 90%.” We can’t think of anything more crucial to living The Good Long Life than preserving our mental faculties. Jim and I both have family members who have lived with dementia, so we couldn’t be more interested. 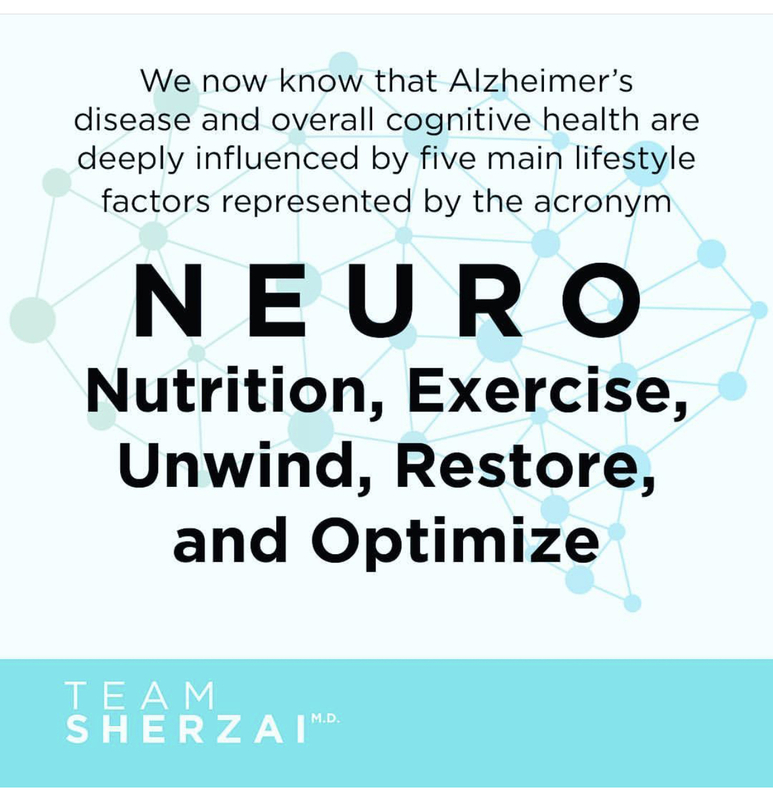 The Sherzais are neurologists with expertise in aging and neurodegenerative disorders as well as preventive medicine. 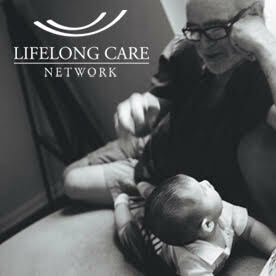 They lead the Brain Health and Alzheimer’s Prevention Program at Loma Linda University. They studied there two different populations – the ‘clean living’ population of Seventh Day Adventists in Loma Linda (renowned as one of the Blue Zones) and adjacent residents of San Bernadino, California, many of whom were dealing the with stresses of poverty. 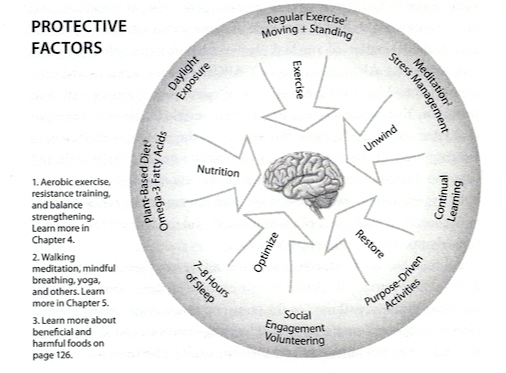 After studying these adjacent populations, they created the NEURO plan signifying Nutrition, Exercise, Unwind, Restorative Sleep and Optimize. Their book and lifestyle recommendations come not a minute too soon. Recent statistics show 47 million people afflicted with Alzheimer’s Disease worldwide with the number projected to rise to 150 million by 2050. With a drug-based cure for Alzheimer’s remaining elusive, it is reassuring to know that there are lifestyle changes one can make now to preserve brain health and cognitive function. Overall, they are not fans of supplements, advocating only for the omega 3 supplements noted above and B12. Otherwise, they say it’s much better to get your nutrients from whole foods. 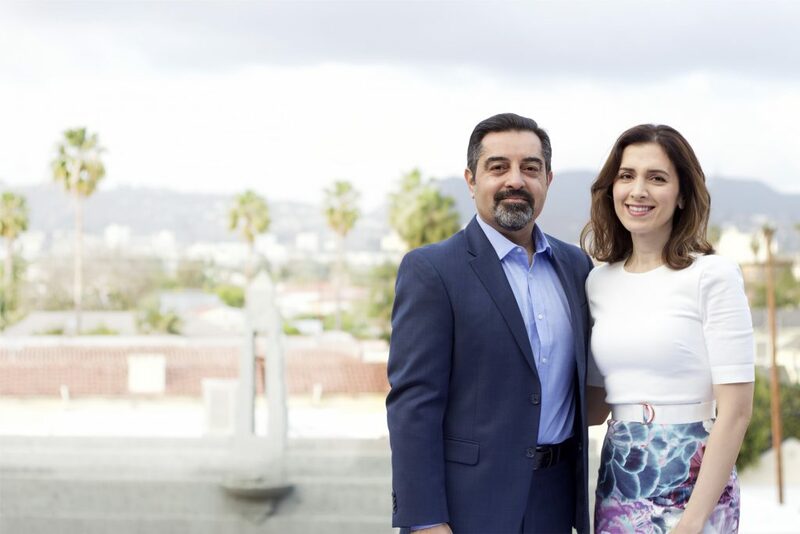 Dean and Ayesha Sherzai live the program they advocate, feeding their family a plant-based diet and living and working within the program. Ayesha is trained in culinary science and her recipes like, Bean and Butternut Squash Enchiladas, are healthy and delicious. From a simple Chickpea Sandwich to their Bean and Lentil Chili, there are heart-healthy meals to get you through your day. I won her favorite vegetable spiralizer in the recent Brain and Body Boost Challenge they shared on their social accounts. 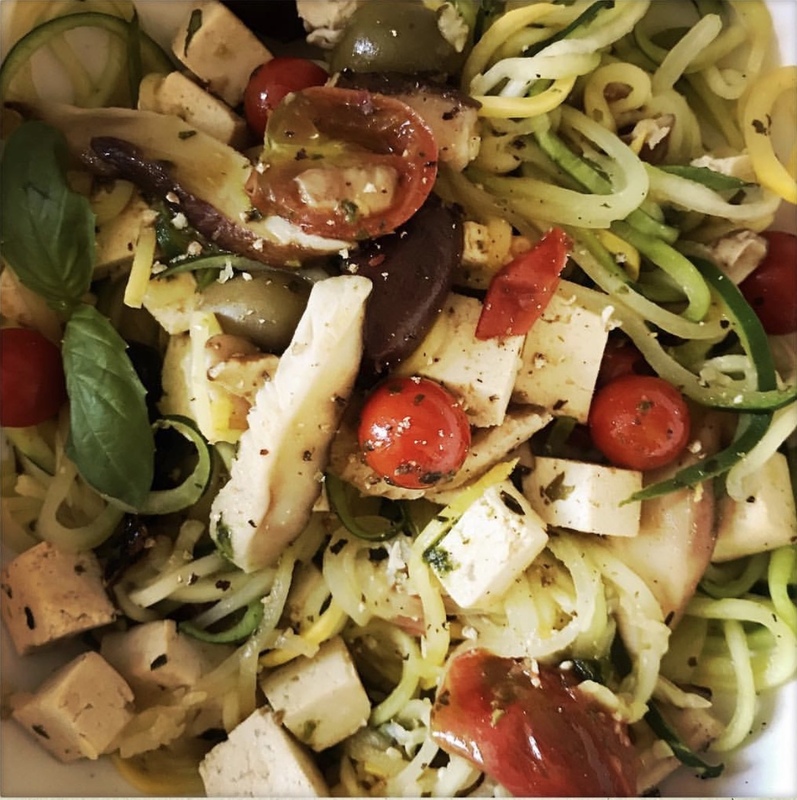 I have been using it to make ‘pasta’ of summer squash tossed in a delicious medley of tofu and vegetables — a dinner we’re finding satisfying and delicious. They recommend a variety of complex activities to optimize the brain — meditation, remaining socially active, volunteering and mentoring, lifelong learning, especially language and music, among them. There are plenty of options so readers can choose what fits best into their lives.